Now and again comes along a lovely new website that makes you think WOW I love the items here! Home Treats is one such website that I was lucky enough to come across recently. This great new website has lots of lovely gifts and home products for your home, whatever your style. The website is easy to navigate and you can shop in Categories, Colours, Styles and Occasions amongst other options. Whether you are looking for that perfect something for your home or a special present for someone, a wedding gift or Mother's Day present perhaps, you could do with checking out their website today. Home Treats have given me a £20 gift voucher to give away to my readers. So if you won what would you spend it on? One of the first things that caught my eye was this cute heart cushion, very girly! I have lots of family photos scattered around the house and I love this set of photo frames with a sea theme, which is particularly apt as I live in a seaside town. If you are a Domestic Goddess or Delia Diva then what about these cute oven gloves in a pretty spotty and floral print? Another lovely Home Treat that I like is this super door mat with a retro feel. I wonder if the Queen has one? As you can see they have some great gift ideas, at reasonable prices too, and everything looks really great quality. So if you have a couple of minutes spare, I hope you will enter my competition to win a £20 gift voucher. To enter please go through the steps of the Rafflecopter application and one thing more - Good luck! Competition is open to over 18's, UK only. tough decision - so many lovely things on there! I love the Metal Silver Magnetic Notice Board by Parlane - would save on all the lost post it notes that hubby uses and excuse for not having done things!!! I'm vey sociable so this ! I like Stars so I would put the voucher towards this.... WHITE STARLIGHT WITH LED LIGHTS BY PARLANE (LARGE) then gradually work my way through buying the rest of the list! I REALLY like Stars! http://www.home-treats.co.uk/Round-Domed-Clock-Black-9380/ perfect in my kitchen! Loving the we are not amused doormat! ID BUY THE 3 HOOK ROLLING PIN HANGER, GORGEOUS! 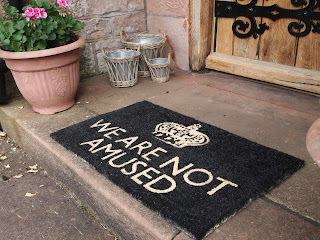 the we are not amused doormat...thats just fab! Love lots but would start with http://www.home-treats.co.uk/Wooden-Boat-Ornament-Brown-9591/ - the Wooden Boat Ornament. I would buy the red hanging sign and the black & tan doormat. Love the vintage cream cushions with applique. Lots of nice things here, thanks for introducing me to the page. Thanks for introducing me to a new website! Love it! Really like the hanging frames you've featured and their boat ornaments - they suit my seaside theme bathroom! But I have to say, I love the Stripey jugs! http://www.home-treats.co.uk/Eau-de-Nil-Jug-with-Stripe-Design-Large-9476/ ... And the Tea tastes better outdoors mug! ... Choices choices! I really like the Blue & White Wooden Sailing Yacht - and at £7 is a steal! I have seen these in shops for twice that price! To be honest i want everything but i guess i'd proberly start with the £40 Wooden Sailing Ship Ornament on Stand. Oooh I love so much - I am a sailing fanatic so love the sailing ship and we do need a new door mat, this winter has killed ours! I would choose a cushion, possibly the '3' cushion. Oh My God - how have I never found this website before. I'd buy the WILLOW TWIG HURRICANE CANDLE HOLDER. Very cute. 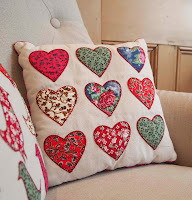 The Decorative Country Chic Fabric Heart Garland - it is so cute! 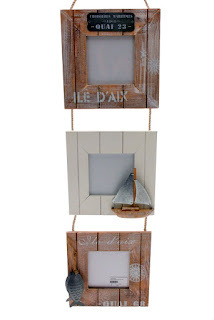 The Nautical Photo Frames...I love anything sea themed! Loving the retro storage boxes! I love the Brown Buddah Lamp. This would look lovely in my living room. I love all of the Parlane candles, especially the cable knit ones. 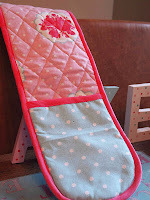 I would buy the Wall Mounted 'BAKE' with Polka Dot Design for my daughter who loves cooking! I love the We are not amused door mat as its something my mum always says! i would love the glass cake plate by parlane, a lovely way to serve cake!! I think this would just about give the right message!